It is impossible to read A.S.A. 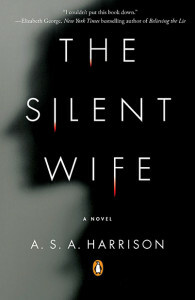 Harrison’s The Silent Wife without feeling an overwhelming sense of sadness, not just because of the untimely and tragic death of the author, but also because there will be no further novels by this literary talent. This debut novel shows a restraint and pragmatism rarely seen in fiction today. The titular character in this story is Jodi Brett, a woman caught in a domestic situation full of emotional angst. 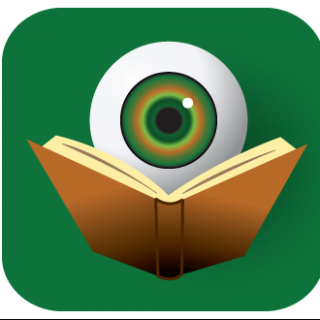 However, like Gillian Flynn’s Gone Girl – the novel to which it will inevitably be compared – A. S. A. Harrison’s novel also allows readers to see the situation from the viewpoint of the male component of this partnership. Todd Gilbert is a man who loves no one more than himself, a trait which he never tries to hide or deny. The beauty of Harrison’s work is that readers can sympathize with both characters on various levels, thereby making it as realistic a relationship as one is likely to find in fiction. When Todd begins his affair with Natasha Kovacs, the daughter of his best friend, it should come as no surprise to anyone, least of all his “wife.” It was Jodi’s decision for them not to formalize their relationship and he pretty much directly told her he was destined to cheat on her. And yet, readers will completely understand Jodi’s reaction to this liaison. It is not a spoiler to reveal that Jodi becomes a killer and Todd, her victim. This is mentioned very early in the novel and in the publisher’s description of the work. The reason being that this is not a book about a crime; this is a book about the disintegration of a relationship. And specifically about how our learned traits for dealing with life manifest themselves in different ways depending on the situation at hand. The Silent Wife is most definitely an absorbing psychological thriller, but it is A.S.A. Harrison’s inimitable understanding of the human psyche that readers will continue to remember and reference for years to come.